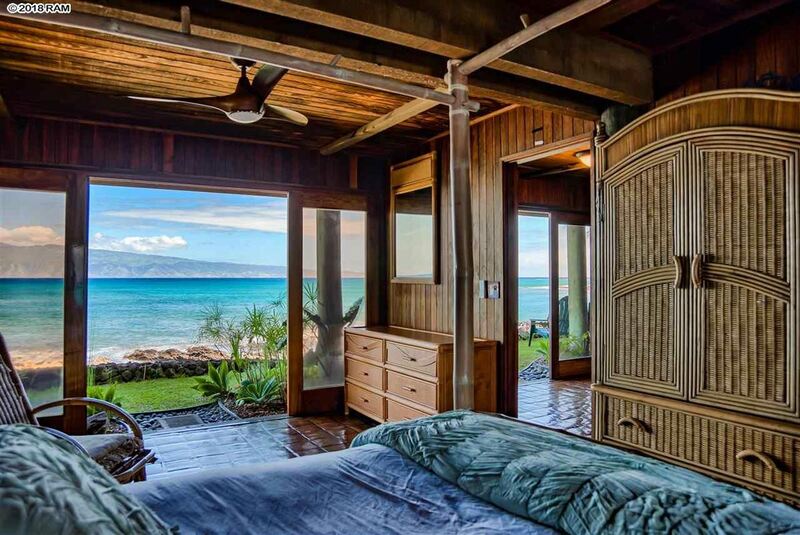 The Pacific is your front yard in this artistic Polynesian pole house in Lahaina on Maui with ocean access and over 100 feet of ocean frontage. 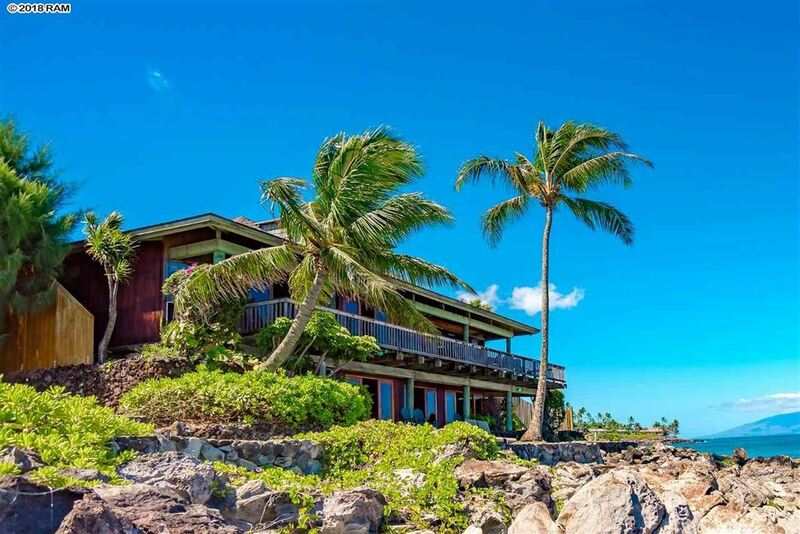 This striking home has sweeping 270-degree views of Lanai and Molokai up to Kapalua from the large wrap patio. 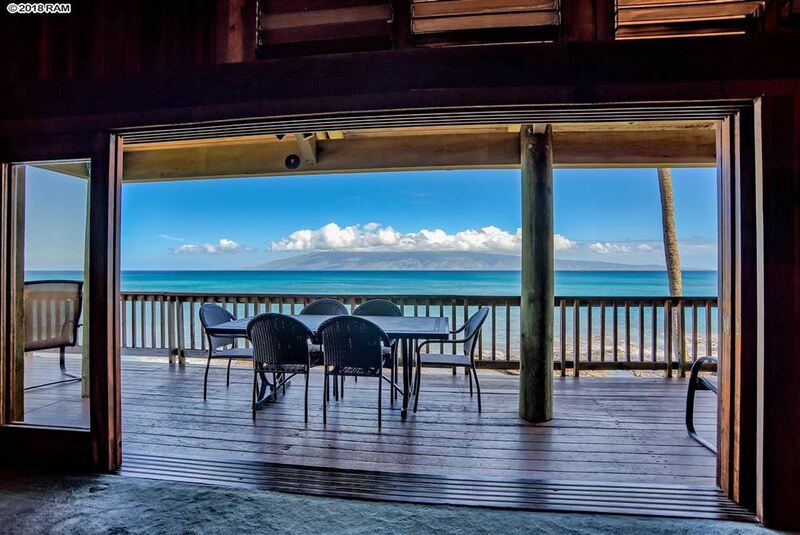 There are five bedrooms total and the master and guest bedroom both have ocean views. This home is located in the private gated community on Papaua Place in Napili with only 10 homes and no homeowner’s fees or rules. This unique spot offers excellent surfing, snorkeling, swimming and whale watching right out front, depending on the seasons. 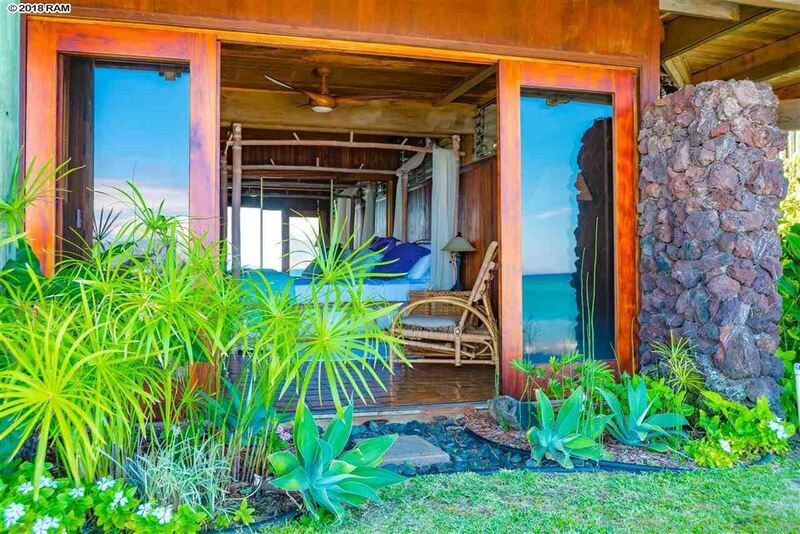 The home designed by Frank Stiller and built in 1981 using Hawaiian Koa wood and lava rock. 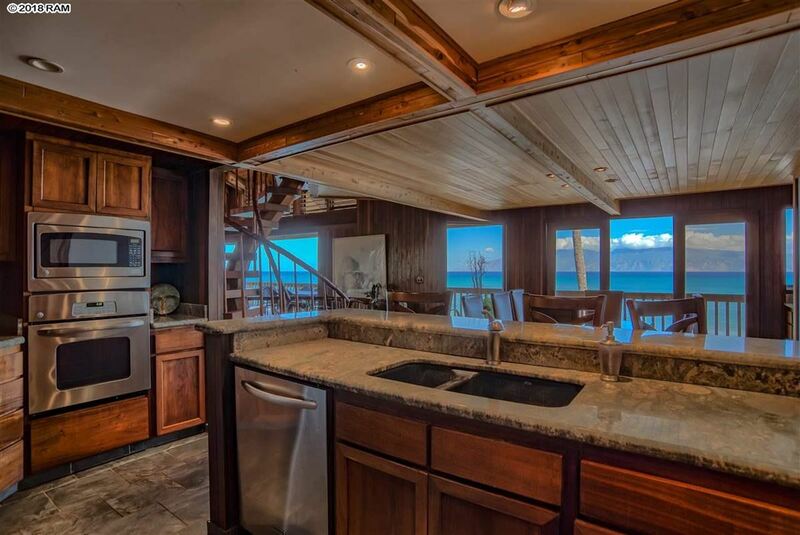 Includes a game room, sauna, jacuzzi, and upstairs whale watching/yoga room/study. 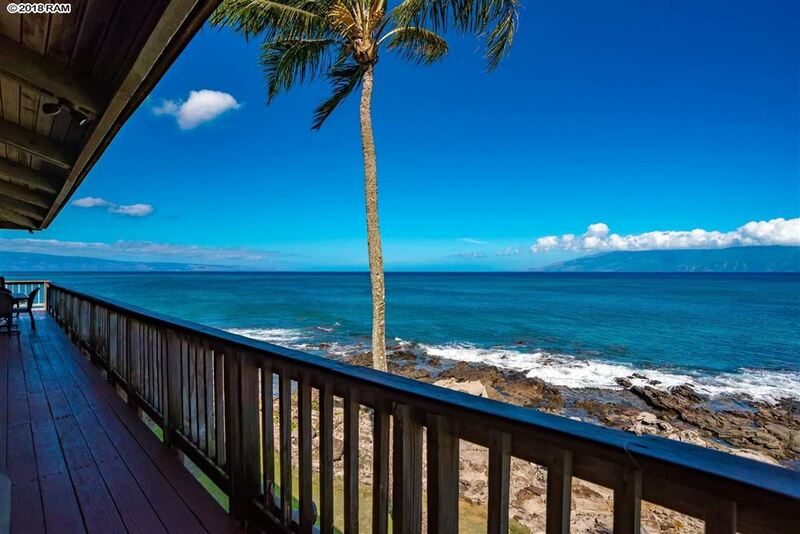 The home is located close to world-class golf, spas, hotels, restaurants and Honolua Bay. 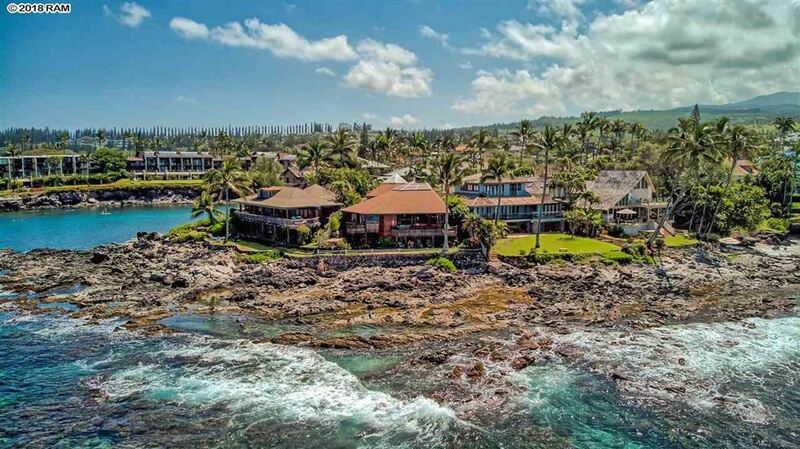 It is listed for $8.88 million with Hawaii Life, an affiliate of Luxury Portfolio International®.